Tropical fruit. It appears in grocery stores like magic. Bright sparks from the tropics to brighten an upstate New York winter. With a more homely fruit like, say, apples, I grasp the idea that someone picked them, packed them, shipped them from an orchard. But somehow tropical fruit doesn’t seem like it came from an actual plant. 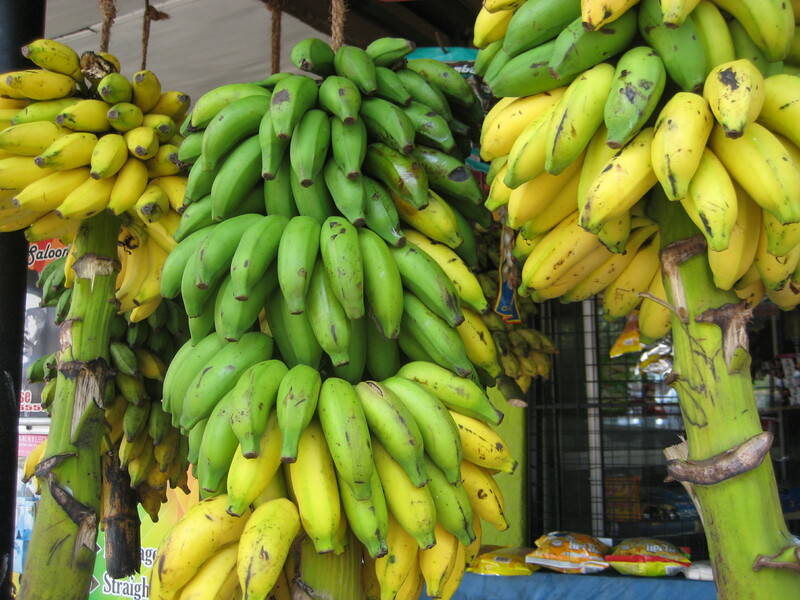 I mean it’s hard to think of bananas as something that grows on trees. 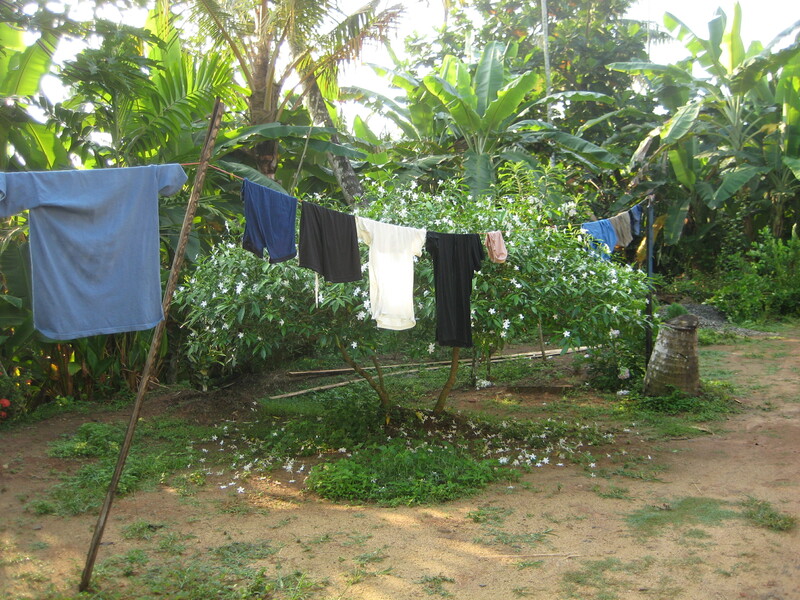 Here’s a sun-drenched banana orchard, with a handy clothesline strung through it. 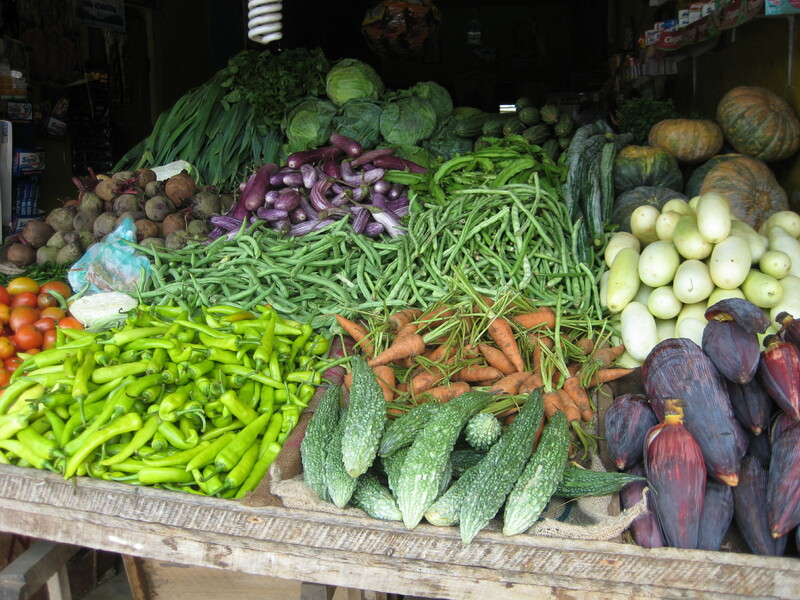 Every Sri Lankan town has dozens of open-air fruit and vegetable stands. A feast of color. 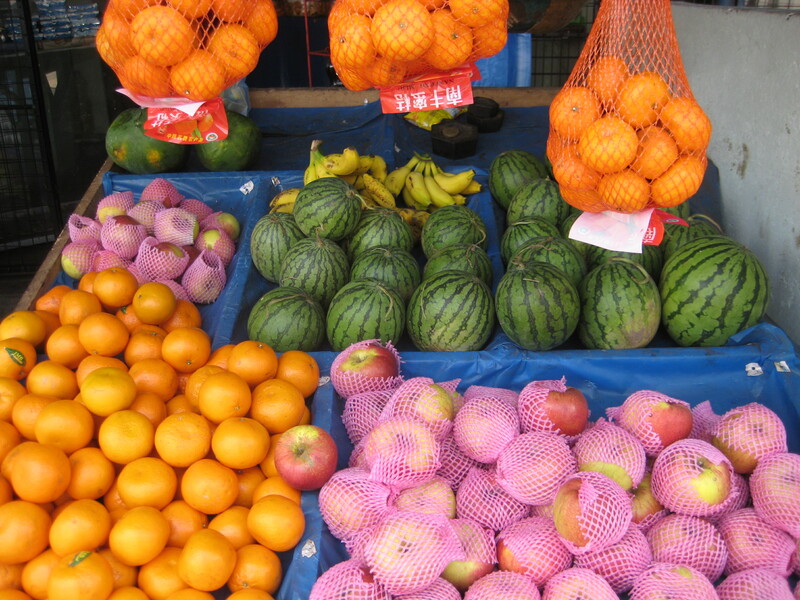 Tangerines, lemons, papayas split open to show the coral-colored flesh. 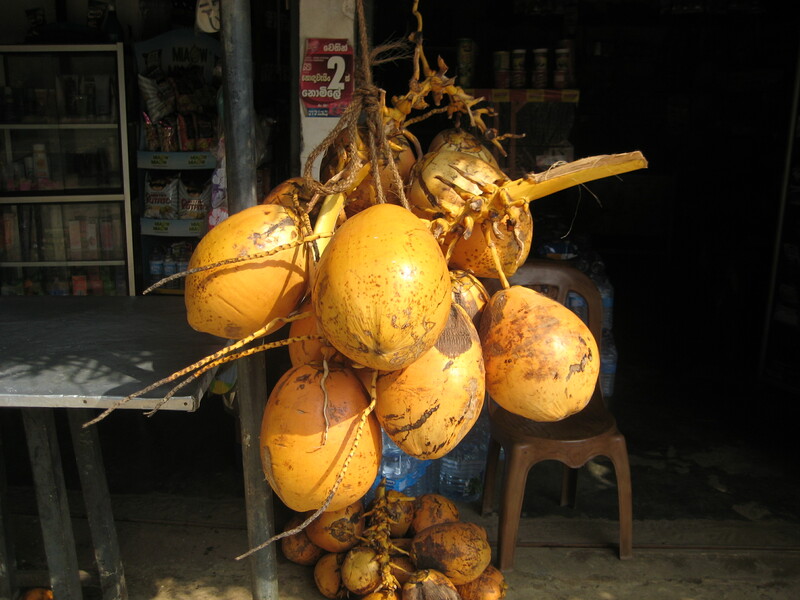 Coconuts with outer husks of bright orange. Avocado, lime, mango. And right beside them, bright red apples, mingling with green beans, Brussels sprouts and carrots–the mountains of Sri Lanka are cool enough for all kinds of crops you don’t associate with coconut palms and mango trees. March in upstate New York has a severe black-and-white beauty of its own. 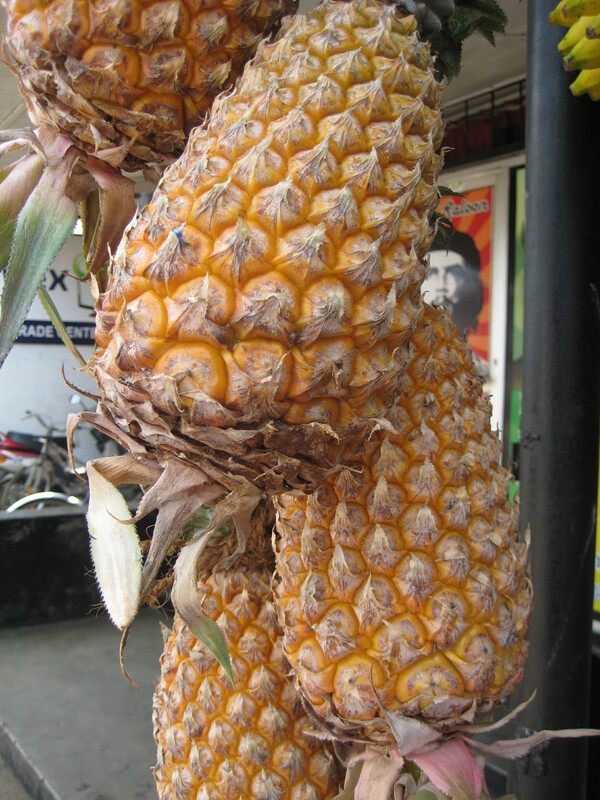 But just for a change of pace, enjoy a taste of Sri Lankan tropical color. I agree about being able to “see” where the fruit, etc. comes from. So, these pictures are an education in themselves. Thanks for giving us something to think about! Takes lots of energy to ship them so far, of course…another issue to ponder.